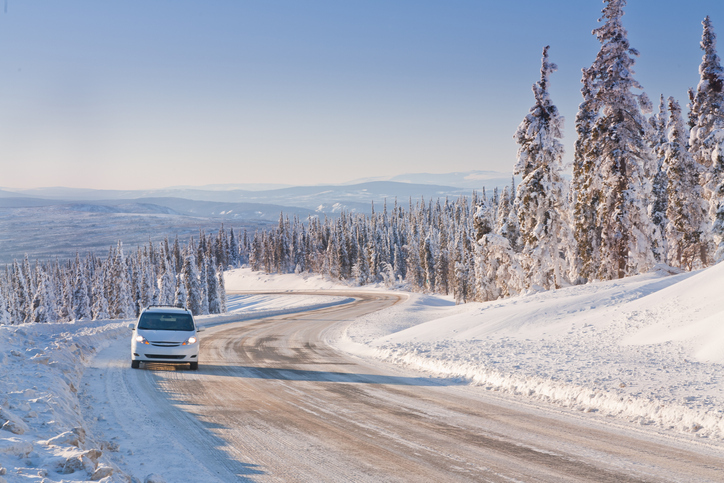 It should be no surprise that Alaska has some different and interesting driving laws because of how challenging the road conditions can be at certain times and in certain areas. There’s also the issue of smaller roads due to lower populations spread across larger areas. Laws are more strictly enforced so the many one lane roads don’t get blocked or congested. Most of the normal laws are the same: don’t exceed the speed limit, don’t drive under the influence of drugs or alcohol, stop at stop signs and red lights etc. However, there are a bunch of lesser laws that are very different from what you’re likely used to. One such law allows people to drive with loaded guns (legally registered, of course) in their car. You can have the gun visible or concealed. The only stipulation is that you must be over twenty-one. Alaska is another state like Hawaii where seatbelts must be worn by all passengers. States like New York do not require passengers in the back seat to wear seatbelts in most circumstances. Headlights are a big area of legislation for Alaskans. During the much lower light winter months, the law requires headlights for longer periods. There are several roads in Alaska that mandate lights must be on at all times while traveling on them. Any one operating a motorcycle in Alaska must always have their headlights on. It’s illegal to have your brights on within five hundred feet of an oncoming car. Other states have this rule but don’t tend to enforce it too much. However, in Alaska, it is enforced quite strictly. Really what this means is that it’s illegal to flash your brights at someone to warn them to turn their headlights on or about upcoming police. So, to be completely safe and covered, always have your regular headlights on in Alaska – even during the day. You may actually use your phone while driving in Alaska but not the screen. What does that mean? Well, you can hold the phone to your head and talk but you can’t use the screen at all. This includes texting and even dialing. Another driving law in Alaska different from most of the United States in that you’re allowed to drive with marijuana and marijuana paraphernalia in your vehicle. However, you may not drive under the influence of marijuana or use it in your vehicle or anywhere in public. You also must be twenty-one years of age or older to do this. Finally, potential motorists are allowed to earn their learner’s permit at only fourteen years of age in Alaska. This is tied for the youngest age in the country. Now that your aware of the different laws on the road and how to obey them, you should take note of some of the better attractions and sights there are in Alaska. Keep in mind, if you aren’t moving there permanently, you likely won’t get the chance to see everything on this list as Alaska is over six hundred thousand square miles big. 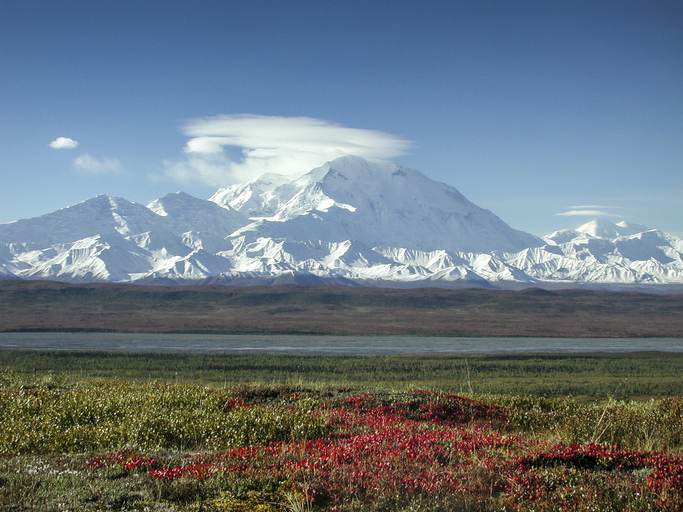 – With over six million acres of mountains, rivers, tundras and breath-taking wilderness the Denali National Park is the heart of Alaskan sight-seeing. It’s located about two hours south west of Fairbanks and boasts an impressive roster of wildlife with grizzly bears, wolves, reindeer, elk, huskies and numerous birds. 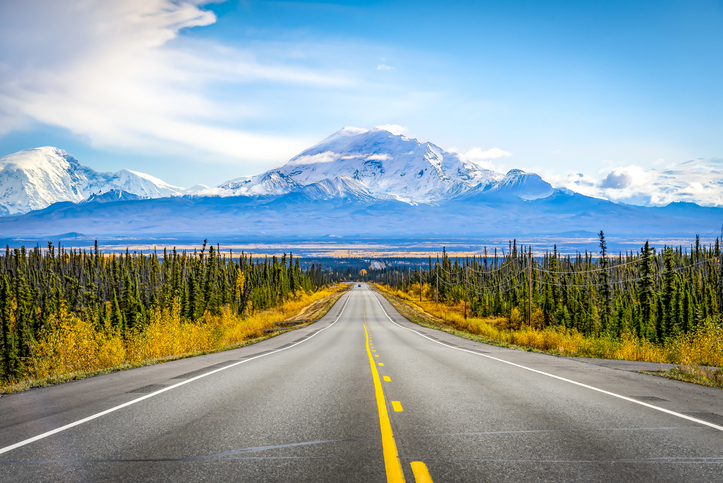 – With rolling views of glacier-tipped mountains and lush Alaskan forests, the Alaska Highway is a perfect way to get where your going while taking in the sights. The highway runs from Delta Junction, Alaska into Canada and the Yukon Territory. 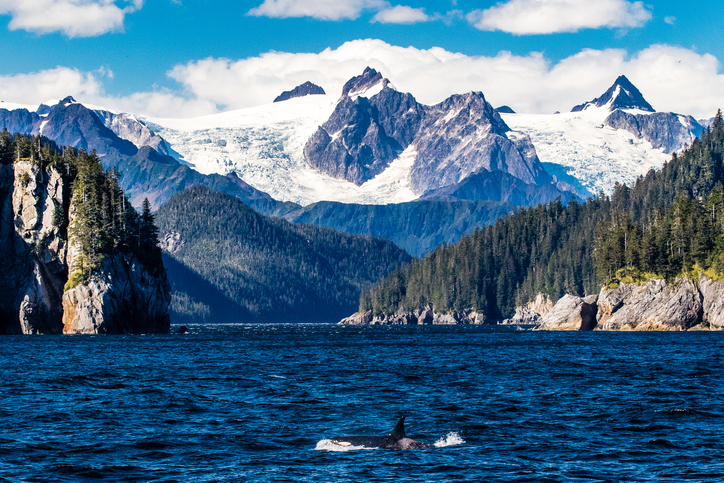 – Located in Seward, the Kenai Fjords National Park has some of the biggest glaciers you’ll see as well as some of the biggest bears. – Beginning just north of Fairbanks and stretching over four hundred miles to Prudhoe Bay, the Dalton Highway is a great way to break in your wheels in Alaska while taking in the gorgeous expanse that is the arctic circle at its northern-most end. This is where, from September through the spring, you can see the impressive Northern Lights. Along the highway you can also make stops at the Arctic National Wildlife Refuge and the Gates of the Arctic National Park & Preserve. – Home to a globally renowned and revered tradition, the Iditarod National Historic Trail is absolutely one of the can’t miss attractions in Alaska. The trail is the home to the world’s most famous dog sled race, the Iditarod. Along the trail you’ll be able to get great views of glaciers, mountains and the vast Alaskan landscape. 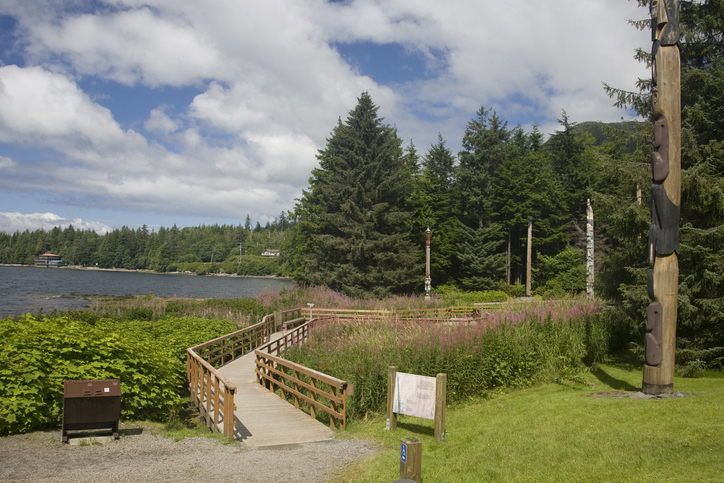 – With a great look into the rich culture and history of Alaska, the Totem Bight State Historic Park gives you an up-close look at picturesque Lake Tiulana and some dwellings of Alaska Natives. The park is located in Anchorage. 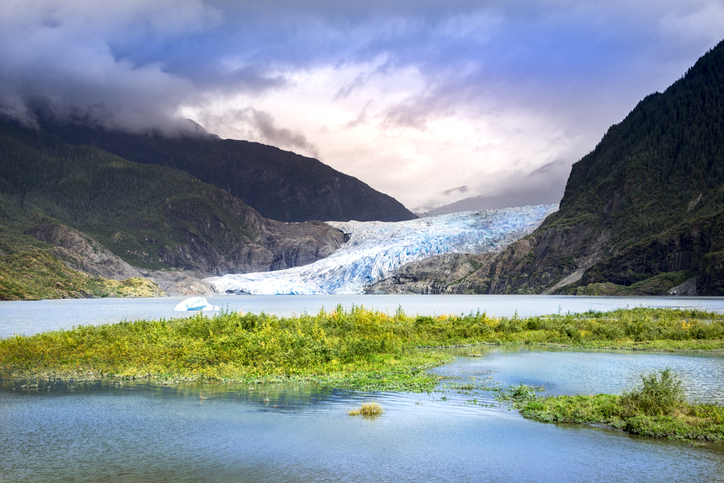 – Located just a few miles north of Juneau, the Mendenhall Glacier is an icy blue wonder that you can only see in Alaska. 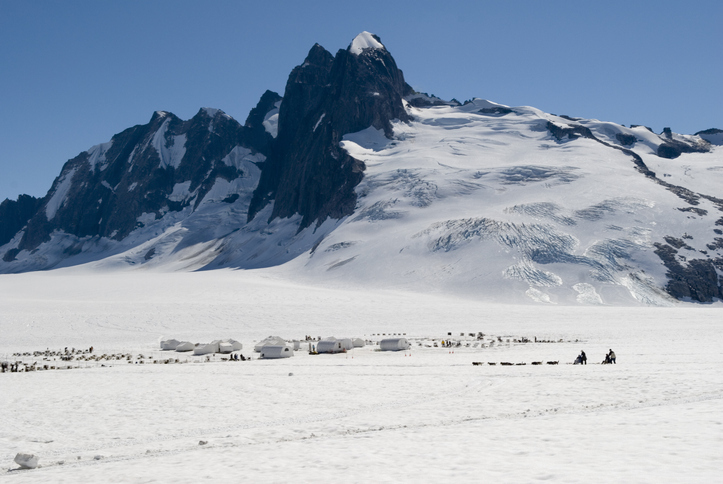 It’s widely considered the crowning point of the impressive and massive Juneau ice field. These tips will help you navigate the roads in Alaska with a little more ease and piece of mind. Use these in conjunction with the Rules of the Road to ensure the best driving experience possible. Watch out for wildlife! Depending on what part of Alaska you’re in, there could be moose, bears, wolves, bison, or caribou crossing the road at any time. Hitting one of these animals could easily total your car. Worse, they could be endangered, and you could be held liable for the death of an endangered animal. Be prepared for inclement weather at all times. Always have your car weatherproofed. Have an emergency kit and extra supplies ready in case you ever get stranded. Supplies you should have ready include: a spare tire & the tools to change a tire, gravel or kitty litter to help you if you need traction, a flashlight, batteries, blankets/sleeping bags, extra clothes, nonperishable foods & water, jumper cables, a small shovel, extra gasoline, matches, knife, spare wiper blades as well as spare bulbs for your headlights and whatever else you think might be able to help you if you end up in a pinch. Have a roadside assistance plan like AAA. If something does happen and you do get stuck, having a roadside assistance plan will prove invaluable. If you start sliding be sure to turn into the direction of the slide. This means turn your front wheels in the same direction that the rear of the vehicle is sliding. So, if the rear of your vehicle is sliding left, turn your wheel left. Don’t tailgate anyone. If the roads are iced up, you tailgate and the person in front of you stops short you will very likely end up sliding into them. Alaska is a very big place. It’s about a third the size of the lower forty-eight states. So, I guess you could say that having your car there is pretty important. However, it’s not the easiest place to drive in. Frequent snowy and icy weather can cause massive delays for travel. It’s only prudent to prepare yourself for the drive with know-how and any supplies you might need if an emergency does occur. If you’re in Alaska or you’re on your way and need your car there, the auto transport experts at Alaska Car Transport can help you out. Get a free quote today.